Manitoba isn't yielding when it comes to enforcing its new distracted driving law, which took effect Nov. 1. By the end of November, police had suspended the licences of more than 240 drivers for the minimum three-day period, Manitoba Public Insurance officials said. "These police enforcement numbers confirm that too many Manitobans are still not getting the message about the dangers and consequences of distracted driving, and that should be a concern for all road users," Satvir Jatana, MPI vice-president of communications, said in a news release. Manitoba RCMP and the Brandon Police Service dinged 67 and 21 drivers, respectively, in November for using hand-operated electronic devices while driving. MPI said on Monday morning that the Winnipeg Police Service had suspended 149 licences. Later on Monday, the WPS traffic division's Insp. Gord Spado provided updated numbers, saying city police had suspended 153 licences in the one-month period. The provincial total, including the updated Winnipeg police numbers, is 241. In 2017, distracted driving was a contributing factor in more than 15,000 collisions, and 30 people died in distracted-related motor vehicle collisions, the news release says. 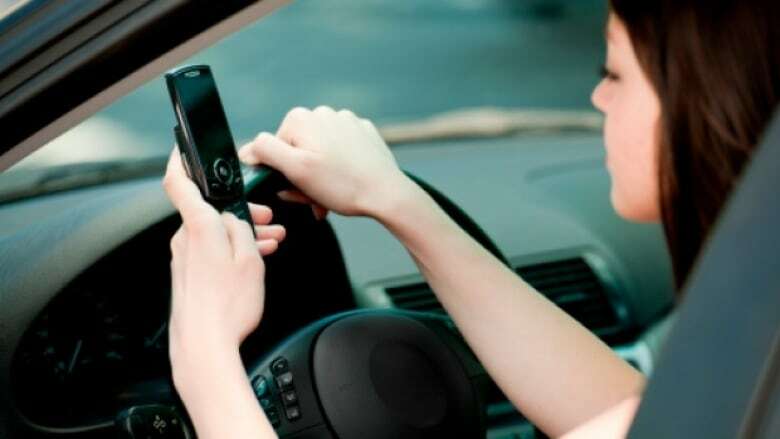 In addition to an immediate roadside suspension, drivers convicted of using a hand-operated electronic device while driving also face a fine of $672 and five demerits on the MPI's driver safety rating scale. Winnipeg's Insp. Spado said he was surprised the new distracted driving law didn't result in a bigger drop in the number of drivers penalized compared to November 2017. 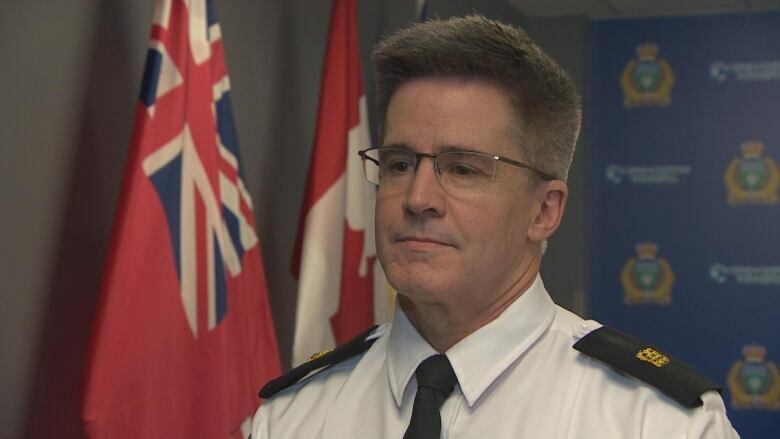 In that month, city police issued 183 tickets for distracted driving, he said, but it's too early to suggest there won't be change in the long term. "I would've expected to see a bigger drop. But I think one month of data isn't enough to really say that it's not working," he said. "It's a very small sample size and it's going to take months before we can see any sort of trends or what sort of impact this change has made." Brian Smiley, MPI's communications director, said he was more disappointed than surprised by the numbers for the past month. "It's disappointing to see that there continue to be people that are doing this.… It takes a while to change driving behaviour," he said. "But again, we're hopeful. There's certainly a lot of work to be done but we're going to move ahead, we're going to try and make our roads safer." "Our officers regularly see distracted drivers cause collisions that result in serious injury and even death on roadways throughout the province; these drivers are a clear risk to all Manitobans," RCMP Assistant Commissioner Scott Kolody said in the MPI news release. "These new, strong penalties send a very clear message that such driving behaviour will not be tolerated." Winnipeggers CBC News spoke to on one busy street said they're not convinced the new rules will end distracted driving. Bob Baisinger, who CBC News spoke to as he walked through Osborne Village, said he doesn't drive now, but he's had run-ins before with distracted drivers behind the wheel. As a pedestrian, he said he finds it irritating when he sees drivers with their phones in their hands. "I'm glad that they've increased the penalty. I hope it works," Baisinger said. But he's not expecting a miracle. "It's still going to happen, because they just can't let go of it," he said. Rebecca Craig, who also spoke to CBC while walking in Osborne Village, said she doesn't expect to see distracted driving eliminated completely, either. But she's happy to see the tougher penalties, which she's heard people talking about. "People, you know, they use their phones for Google Maps and stuff. I think it's always going to be a problem," she said. "But I think it's a good idea that they have all those consequences." An earlier version of this story reported the number of licences suspended in November as 237, based on numbers provided by MPI that combined data from the Winnipeg Police Service, Manitoba RCMP and the Brandon Police Service. The Winnipeg Police Service traffic division later provided updated numbers to CBC indicating Winnipeg police had suspended four additional licences on top of the numbers provided by MPI, making the total for the province 241.